It’s currently restricted to Japan, but Kenichiro Takaki’s popular Senran Kagura franchise returned to its Nintendo roots this week with Shinobi Refle: Senran Kagura. The latest installment in the genre-shifting franchise set in the lives of ninja-schoolgirls takes the form of a dating-sim, where players assume the role of a potential romantic interest for one or multiple characters. 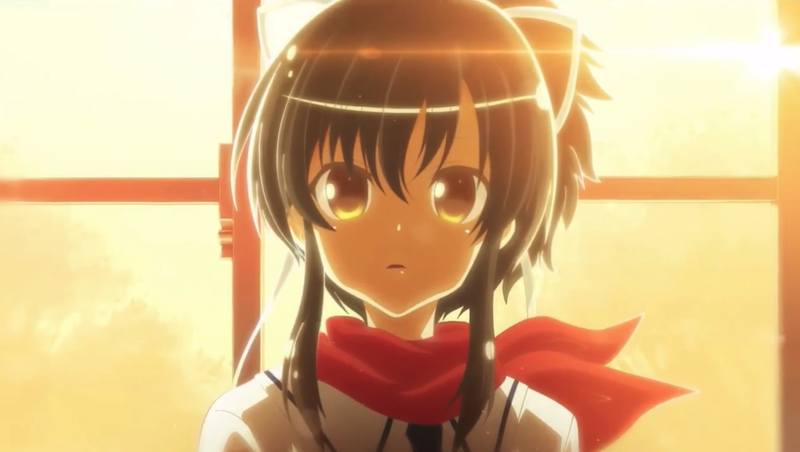 Developed by Marvelous and Takaki’s new studio Honey ∞ Parade Games, Shinobi Refle takes a more intimate approach to the genre by restricting interaction to just one character, Asuka. Unlike the majority of dating sims, the object of Shinobi Refle isn’t so much to court Asuka, but to help her regain that “lost touch” as stated by Honey ∞ Parade Games; the player must restore a melancholic Asuka to her usual gleeful self through a series of roleplay scenarios, including that of a J-Pop Idol, school tutor, or the series’ standard shinobi-in-training. Apart from the traditional choice-driven narrative, players must physically interact with Asuka through the Joy-Cons; what’s bound to be perceived to some as a grave misuse of hardware- or the most ingenious use of HD Rumble to others- players may gesture to hold hands with Asuka, interact with objects on-screen, massage parts of her body, or do other lewd things in the Dressing Room. Though the base game only features Asuka, Marvelous and Honey ∞ Parade Games released multiple DLC packs this week featuring extra costumes and extra character Yumi, complete with her own unique scenarios. Shinobi Refle: Senran Kagura and its DLC content are currently available for purchase through the Japanese Nintendo Switch eShop: To create a Japanese Switch account, simply create a clone account of the current profile, but select “Japan” as the primary region; if Nintendo Switch owners are not equipped with a debit/credit card or PayPal account enabled for international purchase, they must first purchase a Japanese eShop voucher for either 1,000y, 3,000y or 5,000y. Shinobi Refle: Senran Kagura is available exclusively for the Nintendo Switch for 1,000y; the optional Yumi DLC expansion is listed for the identical price of 1,000y, with DLC costume packs ranging from 250y-1,000y each. As this is a Japanese-exclusive title, it’s worth noting the entire game is presented in Japanese, with no English text or voice options.